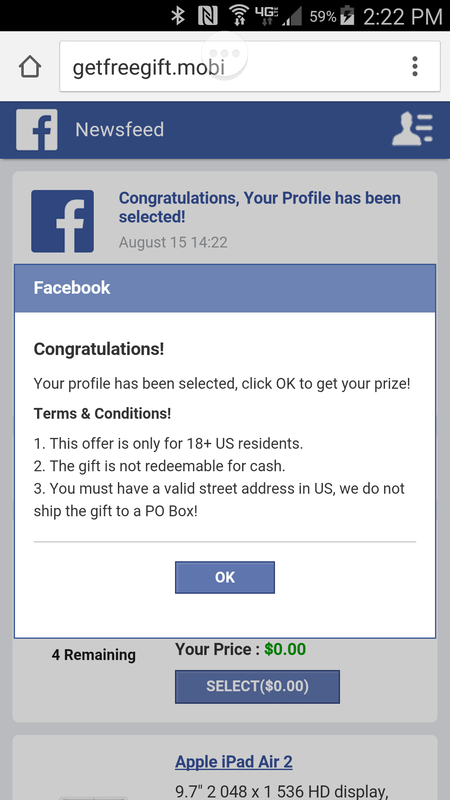 Android’s recent update: Reams of popups and smarmy ads. Not a happy camper today. 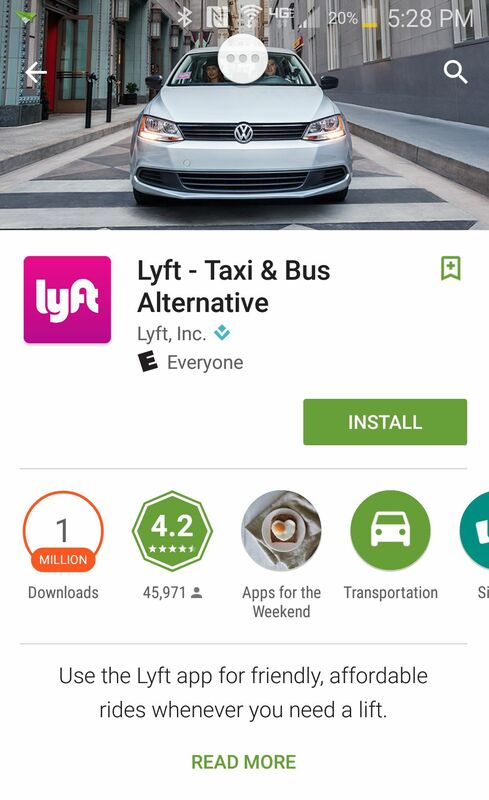 Ever since the latest update on my Android, I’ve been getting endless popups and ads on my phone. I don’t know whose fault it is, and I can’t stop it. Edit: After speaking with a Verizon tech rep, it appears that this is a known problem with the latest update, and all I can do is wait for Android to get around to making it available to Samsung. I sincerely hope some heads roll at Android; the amount of aggravation and inconvenience foisted upon countless users must be staggering. Right. Not interested. Back button. Still not interested. Back Button. … aaand I’ve been clickjacked. No matter how many times I hit “back,” the same three screens repeat forever. The only way out that I found was to kill Chrome altogether and restart it. But what happens if I’m fool enough to fall down that rabbit hole? Ooh! Ooh! Yes please, I want a PS4! But let’s look at the fine print, shall we? Purchase Requirements. Earn 100 points and claim your incentive. 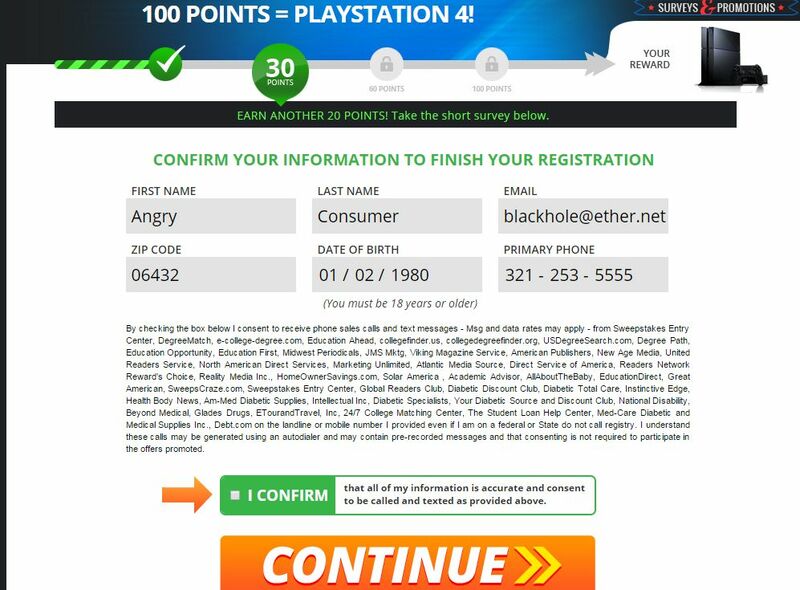 Earn 10 points for solving the puzzle, 20 points for providing survey responses, 30 points for viewing optional offers and the final 40 points for completing the requisite number of Silver, Gold and Platinum offers which are split into two tiers based on the incentive’s value. For Tier 1 incentives with a value of $100 or less, complete 2 Silver, 2 Gold and 1 Platinum offer. For Tier 2 incentives with a value of more than $100, complete 2 Silver, 2 Gold, and 6 Platinum offers. You must complete all offers within 30 days from when you complete your first offer. Completion of offers usually requires a purchase or entering into a paid subscription program for goods or services. The following link illustrates a Representative Sample of current offers by group along with the initial commitment to complete the offer and ongoing obligations. U.S. residents 18 years or older only. Limit of one incentive issued by RewardZone USA, LLC per household per calendar year. For promotional items not currently available, item will be delivered upon completion of purchase requirements described above and when item is available. Failure to submit accurate registration information, complete the survey questions or comply with claim verification process will result in loss of eligibility. 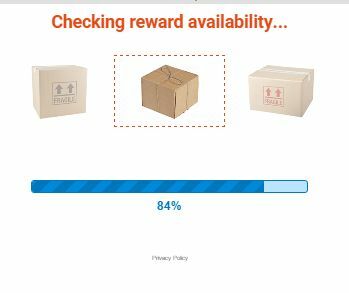 SOLVING A PUZZLE, COMPLETING A SURVEY OR VIEWING OPTIONAL OFFERS WITHOUT COMPLETING THE NUMBER OF REQUIRED OFFERS SPECIFIED ABOVE DOES NOT QUALIFY YOU FOR AN INCENTIVE. Well, there was no puzzle, and no “following link,” but I guess I’ll just go ahead. I mean, what could possibly go wrong? 85% of Americans have a car. Do you? 68% of Americans own their home. Are you a homeowner? Are you interested in reducing your electric bill by up to 70% by going solar? 86% of Americans go on a vacation every year. Do you plan to travel on vacation this year? Which of the following best describes your racial or ethnic background? \What is your political affiliation? 52% of Americans have more than $10,000 in debt. Do you? Do you currently have federal student loans in excess of $10,000? Would you like emails from SweepstakesAlerts.com on how to win $5,000? 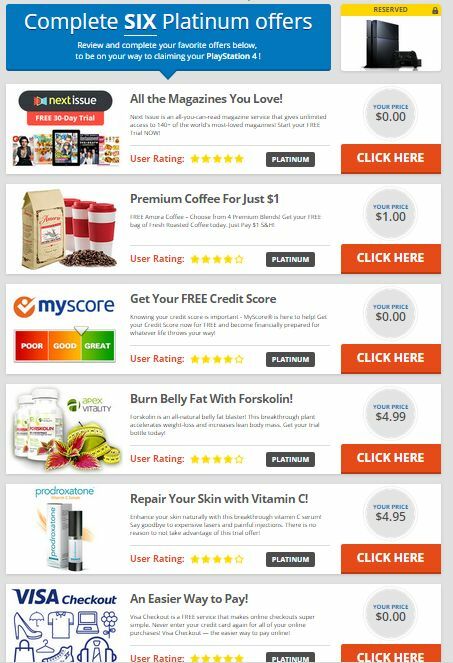 Would you like to take online surveys and earn rewards? 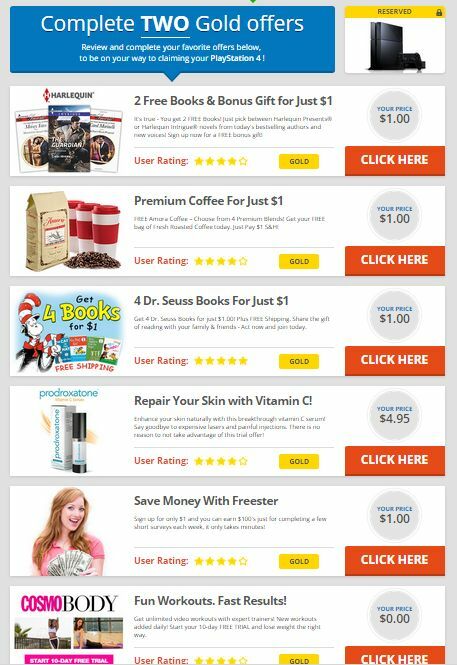 Would you like to receive great savings from major online retailers? Would you like great deals on Bestselling Ebooks? 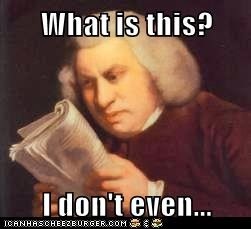 73% of Americans have health insurance. Do you? How would you best describe the provider of your Health Insurance coverage program? Do you ever pay out of pocket for prescription drugs? 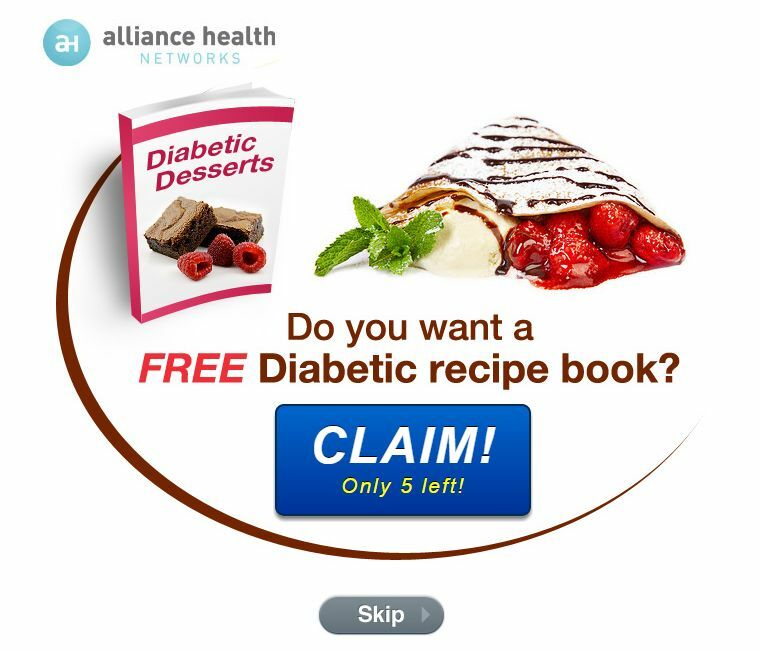 Do you or someone in your household suffer from Diabetes? Select from the list of drugs. Do you or someone in your household suffer from Back pain? Select from the list of drugs. Do you or someone in your household suffer from Joint Pain? Select from the list of drugs. Do you or someone in your household suffer from Sleep apnea? Select from the list of drugs. Do you or somebody you know suffer from depression or anxiety? Select from the list of drugs. Do you or somebody you know suffer from recurring pain? Select from the list of drugs. Med-Care Diabetic and Medical Supplies Inc.
on the landline or mobile number I provided even if I am on a federal or State do not call registry. 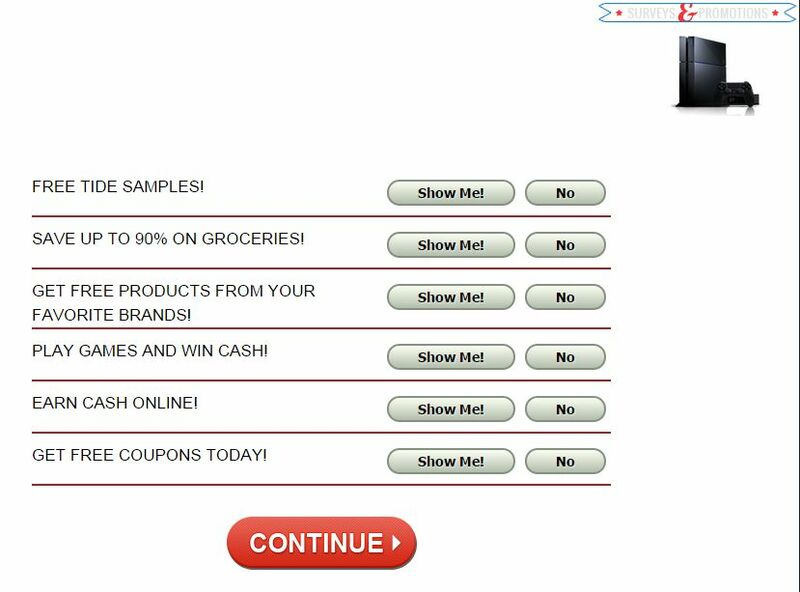 I understand these calls may be generated using an autodialer and may contain pre-recorded messages and that consenting is not required to participate in the offers promoted. OK, 48 companies can spam me forever and sell my information to any marketer who has tuppence to rub together. Do I get my reward now? “Only 5 left.” If you believe that, I have a bridge in Brooklyn I’d like to sell you, cheap. 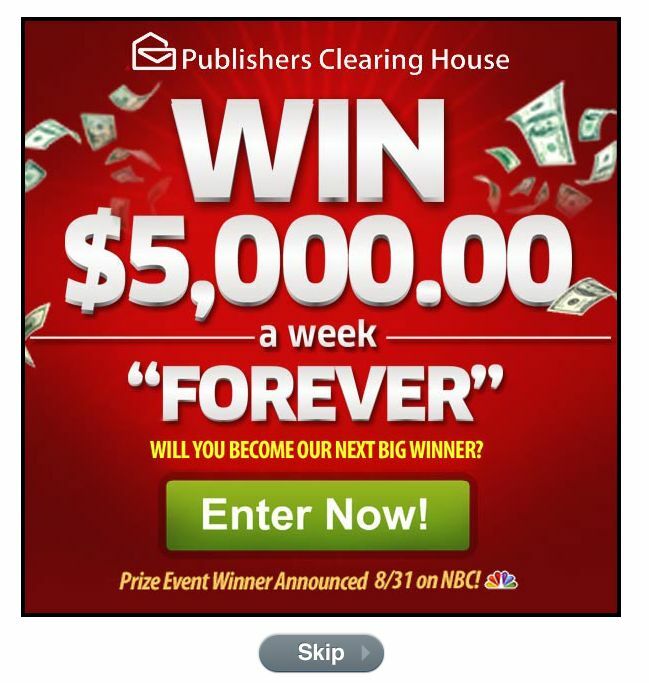 What would a good scam be without Publisher’s Clearinghouse in there somewhere? But we’re not done yet. Remember Book of the Month Club and BMG, now both defunct? Their model was to hook you in with cheap up-front offers, and then follow up with a guaranteed purchase of a certain number of very expensive books/movies each year, along with very expensive shipping. Apparently Seuss (above) and Disney (below) still think that’s a viable model. As a Disney Movie Club member, all you need to do is buy 5 movies at regular Club prices in the next 24 months (starting at $19.95 per DVD and $29.95 per Blu-ray for a member who joins under a DVD enrollment offer or starting at $29.95 per DVD and $29.95 per Blu-ray for a member who joins under a Blu-ray enrollment offer), plus shipping and processing of $3.95 for the first title in each order, and $1.49 for each additional title in that same order. You may cancel your membership at any time after purchasing the 5 movies. 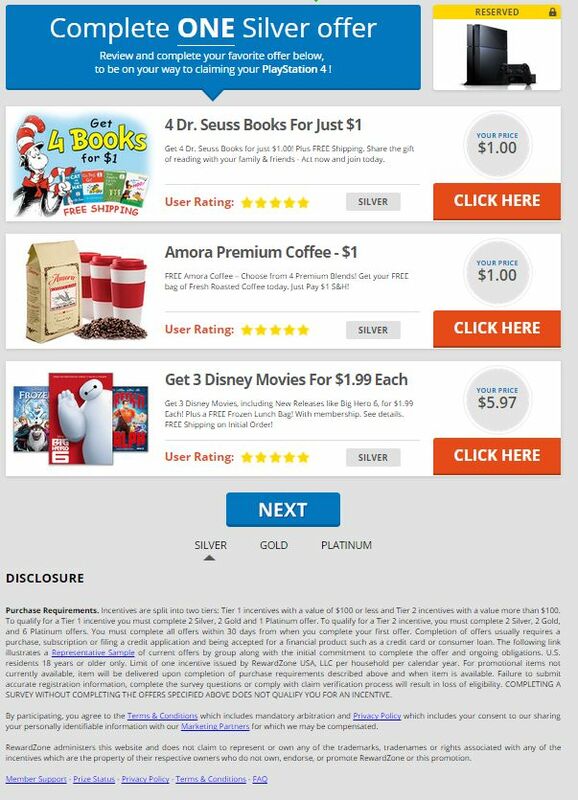 By agreeing to purchase at least 5 regular-priced movies in the next 24 months, you qualify to receive 3 Disney movies of your choice from the list of titles currently available from the Disney Movie Club for $1.99 each. Shipping and processing is free. Please allow 2-4 weeks to receive your first shipment. YOU MAY ALSO TAKE A 4TH MOVIE NOW AT THE SPECIAL PRICE OF JUST $14.95, PLUS YOU PAY NO ADDITIONAL SHIPPING AND PROCESSING CHARGE. This Bonus Movie will even count towards your purchase commitment, so you’ll only need to purchase 4 more movies in the next 24 months instead of 5. PLUS YOU CAN SAVE EVEN MORE by selecting a 5TH MOVIE NOW FOR the special price of JUST $9.95 AND STILL PAY NO ADDITIONAL SHIPPING AND PROCESSING CHARGE. You agree to fulfill your purchase commitment within 24 months of sign-up. If you are unable to meet your commitment within your commitment period, your credit card may be charged for the value of the 3 reduced-priced titles you have received. This amount is dependent upon your initial sign up offer and the format of your introductory movies. This offer is limited to customers residing in the contiguous United States and may be withdrawn at any time. 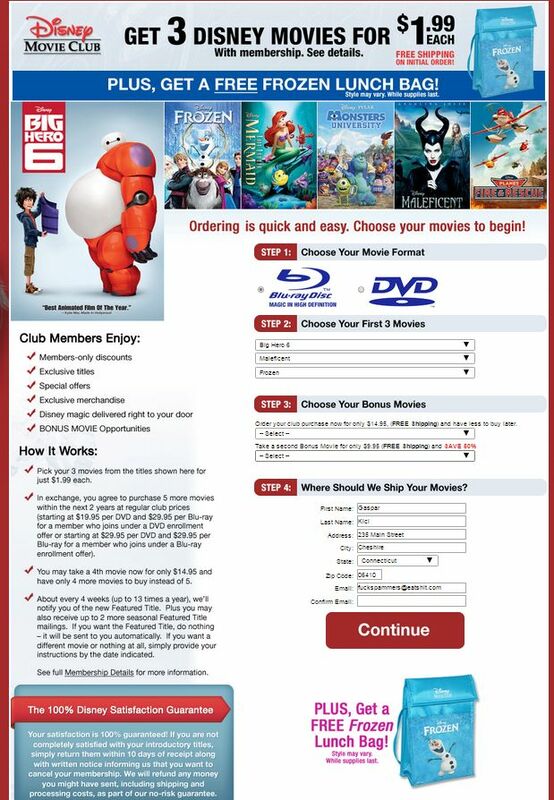 Disney Movie Club cannot ship to APOs or FPOs. Limit: one membership per household. Must be 18 years of age or older to join. Applicable sales tax will be added to orders shipped to California and Wisconsin. This offer may not be combined with any other promotional offer, including coupons and rebates. Executive summary: Follow every step carefully, give up my information to every website in great detail, and wait patiently until I’m contacted by the company or companies involved. It may take a long time. A very long time. And if I missed a step somewhere, I can just be disqualified, just like that. 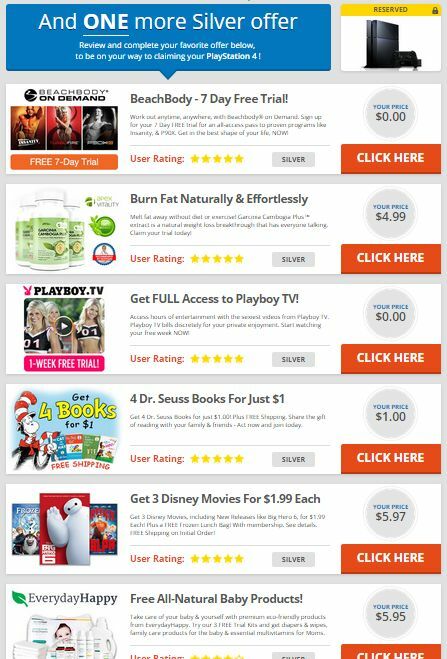 REWARDZONEUSA, LLC WEBSITES – TERMS AND CONDITIONS. 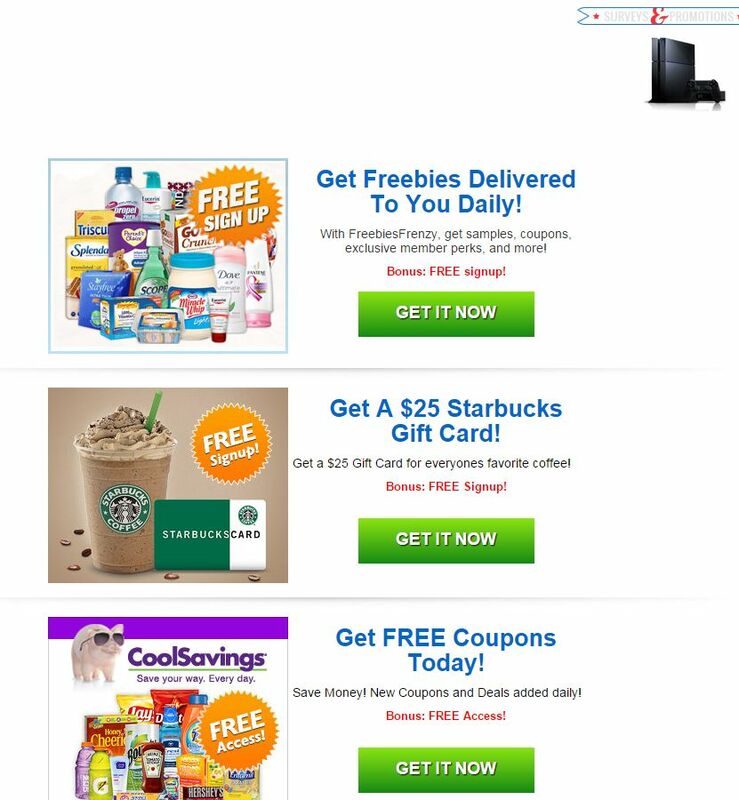 We (RewardZone USA, LLC) operate RewardZoneUSA.com, NationalConsumerCenter.com and other websites (Websites) where you can qualify to earn incentives – merchandise or gift cards (Incentives) – by completing certain offers (Promotions). How the Promotions Work. To qualify for an Incentive you must (a) be at least 18 years old and a U.S. resident; (b) register with a valid email address; (b) submit accurate contact and demographic information including a mailing address; (c) meet the applicable promotion requirements set forth below within a thirty day period measured from the first completed offer; and (d) provide a properly completed claim form and supporting documentation (see below). 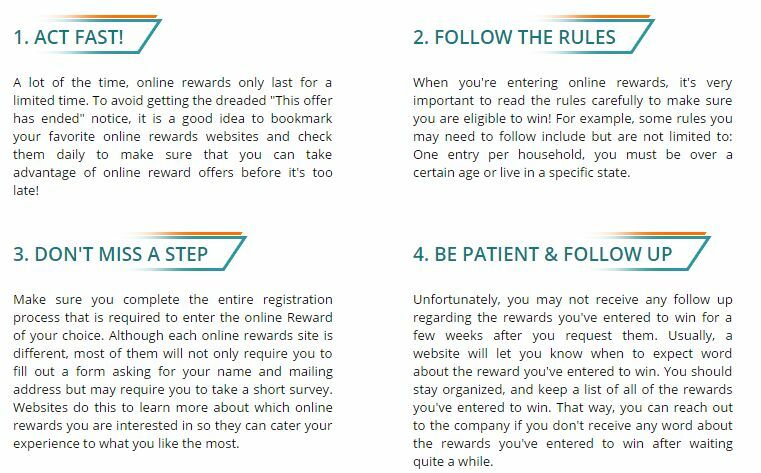 The Silver, Gold and Platinum offers appear AFTER the registration forms, surveys and optional offers which do not count towards qualifying for an Incentive. You will be credited with completing an offer only if you access it by clicking on a link provided on a Website. If you don’t complete all of the requisite offers in one session, go to Incentive Status and log in and use the provided link that will enable you to resume signing up for offers or contact Customer Support who will provide you with a re-entry link. 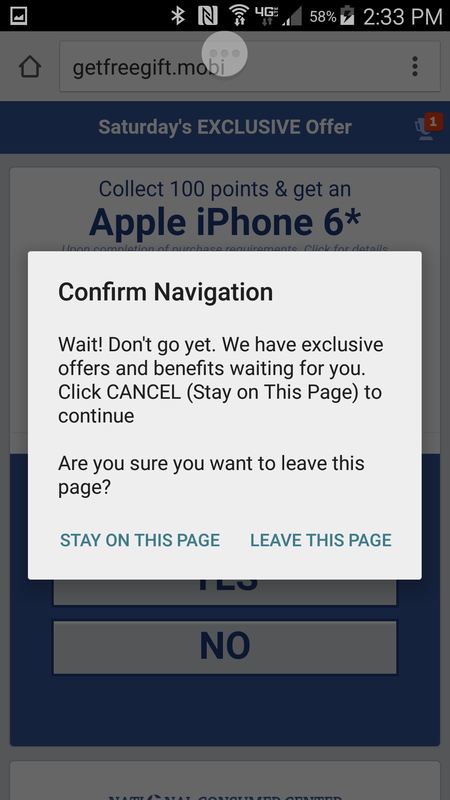 You cannot sign up for the same offer more than once to get credit for an Incentive. For a financial offer such as a credit card, the card must be activated by making a purchase, balance transfer or cash advance for the offer to be considered “completed”, and the user must remain a card holder for at least 60 days. For a subscription or purchase offer, the advertiser must be able to successfully bill your credit card at least once or for the number of times specified in the particular offer’s terms to receive credit. Additional terms and conditions may apply to participation in select marketing offers. You should read the terms of each offer provided by the advertiser for an explanation of these terms where they exist. If you have questions about any offers, please contact the third party sponsor/advertiser. Claiming Your Incentive. Start the claims process by logging onto the “Incentive Status” and selecting “Claim My Incentive.” Complete the required information: name, mailing address, email address, telephone number and Incentive Promotion. We will review your claim and confirm whether you qualify. If you do, we will contact any you via email and U.S. mail with a claim form. Follow the instructions on the Claim Form. If the Incentive has a value of $600 or more, you will also need to complete the provided IRS Form W-9. Once we have received a properly executed and notarized claim form, Photo ID and Form W-9, if required, we will send you your Incentive within two to four weeks. You must claim your Incentive within 60 days of our sending you the claim form via email. We reserve the right to substitute an Incentive of equal or greater value if the Incentive you earned is unavailable for any reason. Publicity. We may use your first name, last initial and City and State of residence (for example John S. Wichita, KS) on a Website. We will also ask for a testimonial and/or a picture of you with your Incentive. If you submit either, you grant us a royalty-free license to display and use what you submit to us in any medium. Limitations. Incentives are limited to one Incentive of any kind per household (persons living at the same address), within any twelve calendar month period. You cannot complete offers using a bot or other automated means of signing up or otherwise tamper with our system or attempt to defraud us by using multiple email addresses or other means to circumvent the limitations described above. If we reasonably believe you are attempting to do so, we may void all of your attempts to qualify for an Incentive. Tax Liability: You are responsible for all local, state, and federal taxes on any Incentive you receive. Agreement; Choice of Law: You agree that the Full Terms constitute the agreement between us and that New York law controls. If we have a dispute, we will submit our dispute for resolution by arbitration before the AAA in New York, NY. If either party files for arbitration, it will be conducted in accordance with the then current AAA Commercial Arbitration Rules. The arbitrator will have exclusive authority to resolve any dispute including any claim that all or any part of the Terms & Conditions, including this provision, are unenforceable. If you proceed to arbitration, we will pay all AAA filing, administration and arbitrator fees unless the arbitrator determines that your claim is frivolous or brought for an improper purpose (as measured by the standards set forth in Federal Rule of Civil Procedure 11(b)). For claims brought by you of Ten Thousand Dollars ($10,000.00) or less, you can choose whether the arbitration proceeds in person, by telephone or based only on submissions. The arbitrator may award any form of individual or equitable relief, including injunctive relief. Any award will be final and conclusive to the parties and may be entered in any court of competent jurisdiction. If you initiate arbitration and the arbitrator awards you relief that is greater than our final written settlement offer made before an arbitrator was selected, then we will pay you a minimum recovery of Five Hundred Dollars ($500.00), plus we will reimburse any reasonable expenses incurred by your attorney, if any, including fees reasonably accrued for investigating, preparing and pursuing the claim in arbitration. Although under some laws we may have a right to an award of attorneys’ fees and expenses if we prevail in arbitration, we agree that we will not seek such an award from you. You and your attorneys are not required to keep the results of the arbitration confidential. This provision shall not be construed to preclude any party from seeking injunctive relief to protect its rights pending an outcome in arbitration. You agree to the entry of injunctive relief to stop such a lawsuit or to remove you as a participant in such a suit. The Terms & Conditions do not constitute a waiver of any of your rights and remedies to pursue a claim individually and not as a class action in binding arbitration as provided above. This provision preventing you from bringing, joining or participating in class action lawsuits is an independent agreement. You may opt-out of these Dispute Resolution Provisions by providing written notice of your decision within thirty (30) days of the date that you first register on our Website. Liability Release: By accessing one of our Websites or participating in any of our Promotions, you release us and our respective parents, subsidiaries, and other affiliated companies, and the directors, shareholders, officers, employees, or agencies of any of the above organizations, for any and all liability for any injury, death, loss, tax liability or damage of any kind arising from your participation in a Promotion, or resulting from acceptance, possession, use or misuse of any sponsor offer or Incentive. LIMITATION OF LIABILITY: TO THE MAXIMUM EXTENT ALLOWED BY APPLICABLE LAW, WE WILL NOT BE LIABLE FOR ANY INDIRECT, INCIDENTAL, SPECIAL OR CONSEQUENTIAL DAMAGES ARISING OUT OF OR RELATING TO THE FULL TERMS, THE WEBSITES, A PROMOTION OR AN INCENTIVE, NO MATTER HOW CAUSED. IN NO EVENT WILL OUR TOTAL CUMULATIVE LIABILITY TO ANY USER EXCEED AN AMOUNT EQUAL TO THE LESSER OF (I) THE VALUE OF THE INCENTIVE FOR WHICH THE CONSUMER HAS REGISTERED, OR (II) $1,000, OR (III) ACTUAL DOLLAR AMOUNT CONSUMER SPENT ON A SITE COMPLETING SPONSOR OFFERS. DISCLAIMER OF WARRANTIES:THE WEBSITES, PROMOTIONS, INCENTIVES, AND ANY PRODUCTS AND/OR SERVICES THAT YOU MAY RECEIVE FROM US OR ONE OF OUR THIRD PARTY PARTNERS ARE PROVIDED TO YOU ON AN ‘AS IS’ AND ‘AS AVAILABLE’ BASIS AND ALL WARRANTIES, EXPRESS AND IMPLIED, ARE DISCLAIMED TO THE FULLEST EXTENT PERMISSIBLE PUSUANT TO APPLICABLE LAW. Updates: We may revise the Full Terms and this summary at any time. Your continued use of a Website and/or participation in a Promotion evidences your acceptance of any changes. If you do not accept any of the terms of the Full Terms or this summary, we ask that you not complete our registration process or access a Website. Gift cards with a face value of $100 or less and other merchandise with an average retail value of $100 or less. Gift cards with a face value of more than $100 and merchandise, such as iPads, iPhones and laptops, with an average retail value more than of $100. This whole operation which began with “Congratulations, You’ve Been Selected” is sleazy, dishonest, and deceptive marketing at its very worst. I would be very interested to know how many Americans actually fall for this, give up all their information, fulfill every offer, pay all that good money, and actually ever receive whatever “prize” is being dangled in front of them. 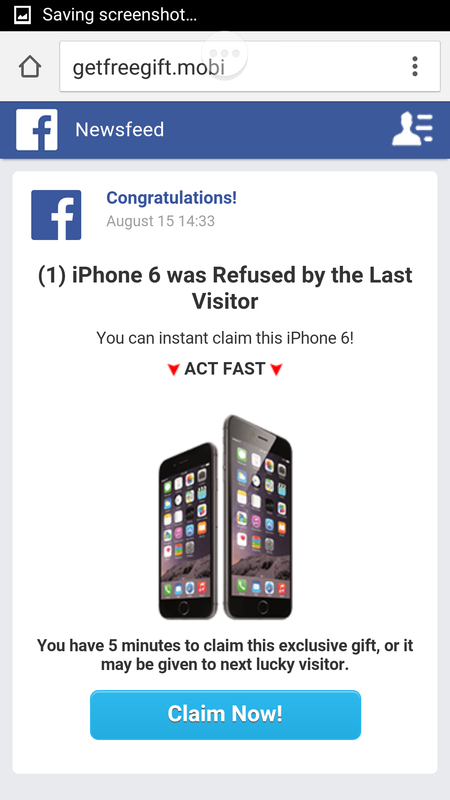 This entry was posted in Advertising, Fraud, Selling it and tagged Clickjacking, Deceptive Marketing, Popups. Bookmark the permalink. It’s the people who are off-balance enough to buy into this stuff that keep it coming at us. How can we get back at these SOB’s? I wish I knew. The flood seems to have abated for now.